The University of Portsmouth achieved the highest ‘Gold’ rating in the Teaching Excellence Framework (TEF) the UK government’s first assessment of teaching excellence in higher education, and was ranked 25th in the UK by The Guardian University Guide 2019. The Faculty of Business and Law has a track record of sustained excellence in teaching and research as evidenced by the consistently very high student satisfaction scores in the National Student Survey, the excellent employability record of our graduates, and the results of the Research Excellence Framework (REF2014) submission. The breadth and depth of our research was viewed by the REF2014 panel as having an outstanding and very significant impact in economic, social and policy-making terms, placing us in the top 10% for impact; 87.5% of our research environment was rated as internationally excellent; and 62% of our research as world-leading or internationally excellent. We offer a full range of degree programmes across business, management, accounting, finance and economics, including PhD and the Doctor of Business Administration (DBA) programme. We combine excellence in research and scholarship with considerable business and consultancy experience, and provide leadership in the development and dissemination of responsible and sustainable business and management practice. The Faculty of Business and Law has a vibrant environment and is ambitious. We wish to build upon our existing strengths and considerable recent success by investing in excellence. A successful candidate for the Reader position will have a PhD and a substantial record of publications in highly ranked international journals. Professional qualifications and senior professional experience will also be considered. You will be committed to excellence in teaching at all levels. You will be expected to make a significant contribution to the research profile and knowledge service activities of the School. You will have drive, an innovative approach to research, learning and teaching, and enjoy working collaboratively in a dynamic environment. We seek candidates with appropriate experience, qualifications and publications to drive forward our commitment to create and share knowledge in this field. The confidence and experience to deliver executive education, in addition to undergraduate and postgraduate teaching, is an advantage. 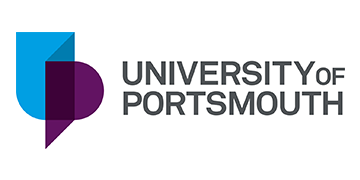 To find out more about the University of Portsmouth and this role, please click the Apply button.